Spanish lottery afficionados often rely on the supposed 'luck' enjoyed by particular towns and villages in that country. And the story of the Christmas lottery seems to prove them right. We introduce the luckiest El Gordo villages, towns and territories. Surprisingly enough, a German city is right at the forefront of our list. In Spain, the 22nd of December is a very special day, one which old and young enjoy every year. That's because the 22nd is the date upon which the El Gordo draw kicks off the Spanish Christmas season in style. For a lot of Spanish people, wins from the Christmas lottery lead to a premature gift-giving, ahead of the normal date of January 6th. Often, whole families, villages or companies that have joined together to form betting communities to buy shares in the expensive tickets win together. The most common share that people buy is called a décimo, meaning a tenth of a share, because to buy a full share is too expensive for most. Many El Gordo fans will make long trips from one end of the country to the next to get their favourite number for the coveted Christmas lottery, as local outlets normally only sell a limited set of numbers. So one number may be on sale only in a particular town or village, meaning that lots of friends and neighbours from the same place tend to share in big wins. We take a look at the happiest El Gordo towns and villages and reveal which one is reputed to be the best place to grab a ticket for the Spanish Christmas lottery. Note that here at Lottoland we allow you to place bets on the El Gordo Christmas lottery, rather than purchasing tickets. The Spanish winners we describe below purchased their tickets from lottery outlets in Spain. Keep reading and we will tell you what a gold witch, a pub and a German car-manufacturing city have in common! A special feature of the Spanish Christmas lottery is the 2,000-inhabitant village of Sort in Catalonia. It's not just the fact that the name Sort means "luck" in Catalan which attracts countless tourists from all over Spain to buy tickets for El Gordo in that little village. Over a period of ten years, the La Bruixa d'Or outlet (which translates as 'The Gold Witch') has produced a total of five main winners of the Christmas lottery plus a series of major secondary wins. With an annual turnover of 100 million euros, it is by far the lottery store with the highest turnover. The majority of this revenue comes from online sales, as lottery fans from all over Spain order their Christmas tickets online and these are then delivered by post. La Bruixa d'Or is Spain's most famous lottery outlet and its owner Xavier Gabriel has long since become a multi-millionaire. However, "The Gold Witch" is no longer in Sort. After Gabriel declared during the Catalan independence conflict in October 2017 that he considered himself a loyal Spaniard, he was maligned by separatists on the street and on the Internet. The entrepreneur then decided to do the same as 3,000 other Catalan companies and relocated his store in another region of Spain. However, the sales of the Bruixa d'Or have not suffered due to this change of location, on the contrary, sales have never been better. When talking about the happiest villages in the whole of Spain, you definitely cannot forget Vic. On December 22, 2005 the city with a population of 33,000 wrote an incredible chapter into the history of the Spanish Christmas Lottery. Fortune was especially kind to this small town to the north of Barcelona. 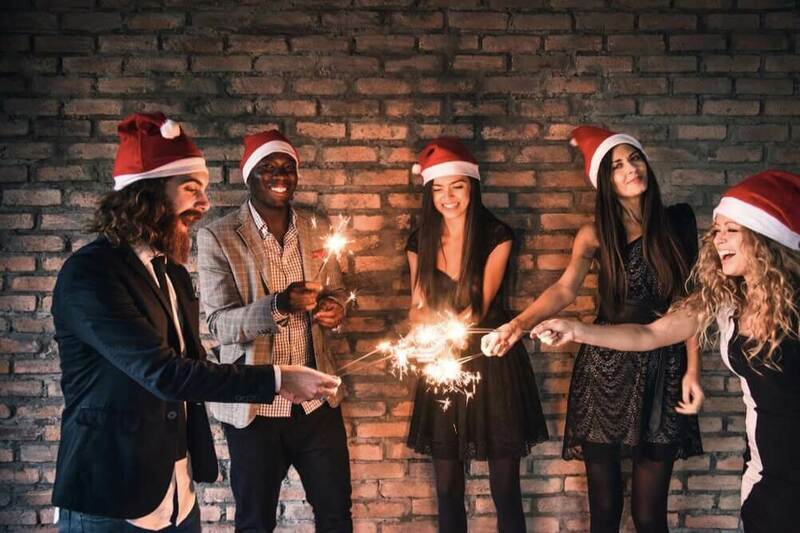 All 1,700 winning tickets with the number 20085 were sold in Vic, which brought the lucky winners a total of €510 million - this corresponds to the largest ever first prize of the popular Spanish Christmas lottery. Many shops, bars and restaurants had bought the successful lottery ticket to distribute to their customers. "It's a number we've always had, but until now it had never won," the owner of the local lottery office told the media. The mayor of Vic, Ignasi Puig, appealed to the charitable spirit of the winners: "If such a profit falls into the lap with practically no effort, it is almost a moral duty to think of our less privileged fellow human beings", he said. Prior to this, Vic had last known a big El Gordo win in 1972, although in 1988 a small part of the first prize went to the small town. Only half an hour before the lot number 20085 was drawn for the El Gordo jackpot, champagne corks were already popping in another part of Catalonia. At the drawing in Madrid, the children of the school of San Ildefonso sang out the winning numbers 07494 - which earned the city of Mataró the third prize worth €500,000 per ticket. Until the day before the draw lots of tickets for this lower - and therefore less desirable - number were available, as the owner of the lottery sales office explained. Today 07494 is one of the most popular numbers ever, having sent a grand total of €81.5 million winging its way to the residents of the 130,000-inhabitant town on the Mediterranean. But the good times didn't stop here for Catalans, as part of the six fifth prizes (worth €50,000) went to lucky people from the suburbs of Barcelona. Besides Lleida, Soria is the Spanish province which spends the most per person on Christmas lottery tickets. In the El Gordo draw on December 22, 2006, this fact finally paid off as never before. For the first time in history, "The Fat One" went to this rural area. Of the 6,000 inhabitants that call Almazán home, all had purchased at least a tenth share with the number 20297. The only collection point had sold a large part of the El Gordo shares, (1,250 tenth shares, to be precise), among the residents and those of the neighboring village Berlanga de Duero (with its 1,000 inhabitants). A total of €375 million flowed into this municipality of Castile and León, which had been hit hard by the economic crisis. Even if you do not become a millionaire by winning from tenth share (in 2006 it would have been worth €300,000), you can get rid of the heavy burden of a mortgage in one fell swoop. At least that's what most of the lucky winners who responded to the reporters' questions said when askedhow their lives would change. More than 80% of Almazán's neighbors had at least one El Gordo winning ticket and the few who could not secure one had family members who promised to share their profits. The 25 winners from Rebollo de Duero, only 20 kilometers away from Almazán, also stated their plans to share their wins of €300,000 with their loved ones. A 79-year-old retiree happily related that she had bought tenths not only for herself but also for two of her sons. "For my third son I had no ticket, because he always says that he does not want to know about the lottery. We'll give him something anyway", she smiled. Shared joy is, after all, a joy doubled! The inhabitants of Rebollo de Duero, mostly elderly, had drawn the literal winning tickets thanks to a neighbor. Octavio Yagüe, who works in the town hall of Almazán, had bought El Gordo shares worth a total of €1,200, which he then distributed among the villagers of Rebollo de Duero. That's why it won't surprise you to hear that Octavio was appointed the official 'lucky charm' of Rebollo in December 2006. When the champagne corks in the 250-person village of Sodeto started popping on December 22, 2011, all of Spain watched and shared the joy of the lucky winners. Almost all of the residents - 249 to be precise - had bought jackpot-winning tickets, bringing more than a hundred million euros flowing to Aragon. Only one person missed out: the Greek Costis Mitsotakis, who had been living in the village since 2006 was the only resident who did not buy a ticket. The local housewives' club had brought the El Gordo share number 58268 in the run-up to Christmas-time, and went door to door in the village selling tickets. Only Costis did not want a ticket; being a foreigner he couldn't understand all the fuss about the Spanish lottery among the local population. However, every other family from Sodeto bought at least one share. When at the draw their ticket number was actually drawn, joy was unbridled as every inhabitant of the Aragonese village (bar that one!) 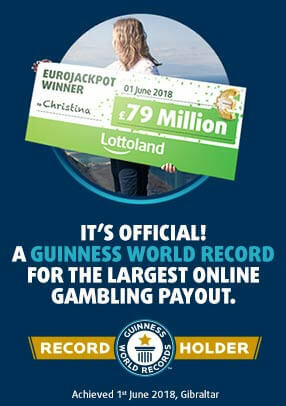 had won at least €100,000! In Sodeto, unemployment was high during the Spanish economic crisis and most of the farmers were heavily in debt, and so the El Gordo prize was received as a godsend. Most winners invested the money in their farms and paid off debts, but the local construction industry also benefited from the financial windfall. The craftsmen and construction workers of the village had plenty of work once again, since many of the lucky winners indulged in long overdue renovations of their homes. Thanks to their new-found prosperity, young villagers now have a new perspective and no longer need to move to larger cities to make a living. For the first time in 20 years, there are once again toddlers in this village of millionaires. Since that lucky day seven years ago, Sodeto has also become a popular place to buy shares for the Christmas lottery. Many people, especially from neighbouring villages, hope that some of the good luck of the villagers rubs off on them. Costis Misotakis has in the meantime filmed a documentary about the lottery win. Even though he didn't get to share in the big win in 2011, the international title of "The Unluckiest Person in the World" at least provided him with material for his filming. In the end, El Gordo had something good to offer for him as well. Christmas Lottery fever has spread far outside the country of Spain. The Christmas lottery also attracts people from other countries who are hoping to share in those attractive jackpots. The chances of winning of one of the numerous prizes are really very good. That's because one in six win a prize with El Gordo, which is a very good return when compared to the majority of other lotteries. For some years now, it has also been possible to participate in the draw on 22 December from Britain. Thanks to Lottoland, you can take home the Spanish bacon without needing to travel to the Iberian Peninsula by placing a bet on the outcome! A small syndicate from Wolfsburg, Germany did just this in 2015, managing to bag the top prize of the Christmas Lottery by placing a bet with Lottoland. Although in Spain tenths of a share (décimos) are the most popular, the five-strong German group was so confident that they bought a whole El Gordo share, and each participant was allowed to choose a number to form the five-digit share number. Shortly after 12 noon it was time. They had to wait for the main prize number to be drawn, but finally the ball rolled out of the drum in Madrid. The winning numbers of 79140 earned the Wolfsburgers the incredible sum of €4 million - making them the biggest individual El Gordo winners of all time! Unlike in Spain, the prize money for the syndicate was even tax-free because they placed a bet rather than buying a physical ticket. Can this fantastic win be repeated this year? Get over to our Christmas Lottery page today and don't miss out on the chance to celebrate the holidays on a grand scale! With our "Double Jackpot" feature, you can even win €8 million euros with a whole share bet. Also the winnings of classes 2 and 3 can be doubled with this popular additional option. The odds of winning the first prize is 1 to 100,000 - which is a whole lot better than your average lottery! Our final success story about a whole village winning El Gordo wins comes from Galicia. For the Christmas lottery of 2017, 130 tickets with the share number 71198 were sold in the small town of Vilalba. In total more than €520 million in winnings ended up coming into the town of nearly 14,000 inhabitants. As it turned out, most of the winning tickets had been purchased in a local pub, one mainly visited by truck drivers and pilgrims on the Way of St. James. Teachers from a nearby school also bought tickets as Christmas gifts for themselves and their colleagues. There were no champagne glasses in the Café-Bar Cascudo to toast the El Gordo win, as the no-frills establishment doesn't feature that particular beverage on the menu. They still toasted their success with whatever drinks were available! The winners, who came from the town, could not believe their luck. The unemployment rate in Vilalba has been high in recent years, with many families facing major financial difficulties. Nevertheless, no one lost their head when news of the financial windfall was confirmed. "We have to keep working, as always. There are good times and bad times. You never know what's coming." That villager's attitude seemed to be shared by the majority of the town, but at least the lucky ones could look confidently into the future and the prospect of a more stress-free life without debt. Will the residents of Vilalba enter the Christmas lottery again this year? You can bet on it! In any case, the El Gordo tickets on sale in the Cascudo pub will certainly have been sold out for months! Not to worry though, here in Lottoland you have the chance to place a bet on the Christmas Lottery until shortly before the draw. Nevertheless, we advise: "Don't leave for tomorrow what you can do today!" Because even at Lottoland popular numbers can sell out weeks or days before the draw. Click here for the Spanish Christmas lottery and make your five-digit selection. The whole team from Lottoland wishes you buena suerte and a feliz Navidad!